They see almost everything. These eyes in space were launched as part of Israel’s effort to get advanced warning about preparations for hostilities but they are now employed fully by the country’s fight against terror. Hundreds of millions of dollars were invested in the capabilities of Israel’s spy satellites. This capability could not have been bought anywhere. The result – Israel has in space an array of very advanced spy satellites and is developing more advanced ones all the time. This capability is very impressive if one looks on the members of the very exclusive club of nations that can manufacture and launch their own spy satellites. Currently Israel has six active spy satellites in space, some “young” in terms of space and some “adults”. All the six broadcast their images to the ground station somewhere in central Israel. The images they capture while flying in low earth orbit over “interesting” states like Iran and Syria – but not only are received here but also put into a long process of data extracting. 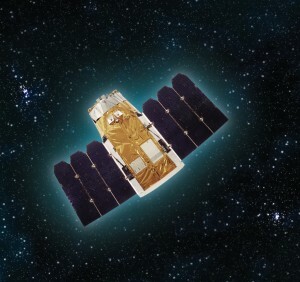 Three satellites of the “Offeq” series, two so called “Civil” satellites of the “Eros” series and the “Tecsar” synthetic aperture (SAR) satellite allow Israel to continuously monitor areas of interest. All satellites were built by Israeli Aerospace Industries (IAI) according to very precise operational requirements presented by the IDF’s intelligence. Deep in the ground at a military base in central Israel is the heart of the Israeli spy satellites operations. From this facility they are operated and in special rooms their images are being translated into operational data. Some foreign publications say that Israel has built a “Bank” of targets that are being monitored 24/7. These are of course Iran’s nuclear sites and also the routes which are being used to transfer rockets and other weapon system into Gaza. “Very little can be hidden from these eyes in space” says an Israeli source. The foreign publications claimed that the Offeq-9 launched in 2010 has a resolution of “less than half a meter”. Israel does not reveal the capabilities of its spy satellites but it is believed to be very good in any international standard. While the SAR capabilities of the Tecsar have added to the 24/7 imagery collecting ability, this is not the last word in the space sensor technology. There is no doubt that the next Israeli spy satellites will be much more capable.